Three reasons why they are a better alternative to smoking are: they are friendlier to the environment than their non-electronic counterparts, they taste better, and they smell better. These three reasons are important because everyone considers these things when they are choosing the type of cigarette to smoke and also because everyone is conscious of the environment in our modern society. One benefit to switching to electronic cigarettes is that often one electronic cigarette is equal to a number of cigarettes. This will not only reduce the amount of paper used in making cigarettes but will also reduce the amount of spent filters or butts that might line the street or fill ashtrays. Reducing your consumption of paper is a great way to keep our planet green for future generations. Moreover, this way you do not have to do without one of the many things that you enjoy. 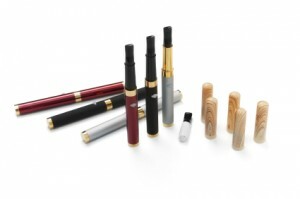 The taste of electronic cigarettes is another benefit of switching. Instead of the taste of a burning cigarette you only get the flavour and nicotine that you crave. This is beneficial to your taste buds because you can taste the flavours and nuances of the electronic cigarette. Being able to taste your cigarette will help to enhance the experience of smoking for yourself. This is a great reason to switch to a new type of smoking device. Another benefit to smoking electronic cigarettes is that e-cigarettes do not leave the type of smell that the old fashioned cigarettes leave behind. The electronic cigarettes are made up of things like vapor and nicotine and don’t leave behind the tell-tale smell of stale smoked cigarettes. The smell of e-cigarettes does not stay on your body after you are done taking a puff or two. You do not have to concern yourself with someone judging you about your smoking hobby later on in the day because you smoked in the morning. You also won’t have to chew gum or involve yourself in any other maintenance to hide your hobby because it does not leave any trace odours around. If you want to ensure that you can fully experience the full-bodied taste of your cigarettes, you need to buy an e liquid, e-juice Australia or electronic cigarette in Australia. Don’t go back to the old cigarette styles; move on to the future with the crisp clean taste, zero smell, and environmentally friendlier design of electronic cigarettes. This will ensure that you are given a much better adventure with your smoking hobby. You’ll be able to experience the full flavour of the style of cigarettes that you want while you go about your daily life because another great thing about electronic cigarettes is that you can take them anywhere you go and without being concerned if the building is non-smoking.